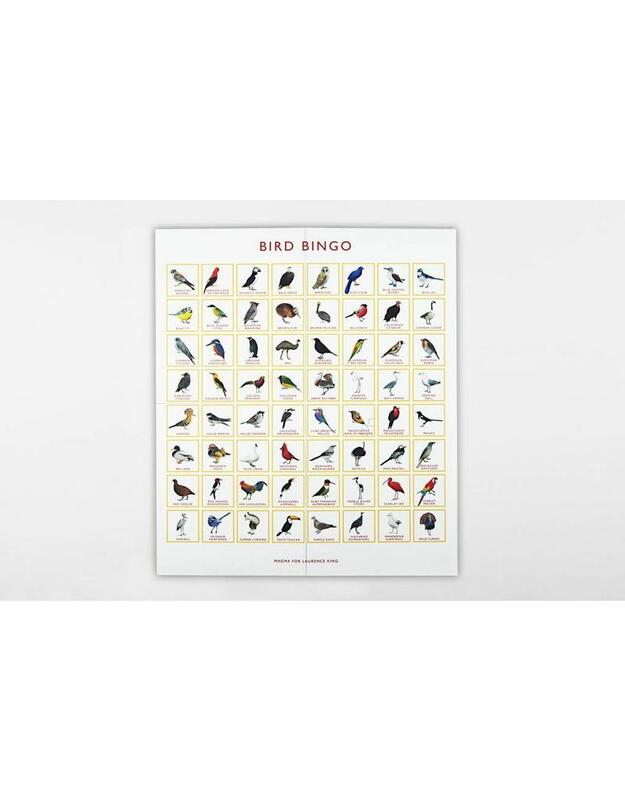 This beautifully illustrated bingo game features 64 species of birds from around the world. 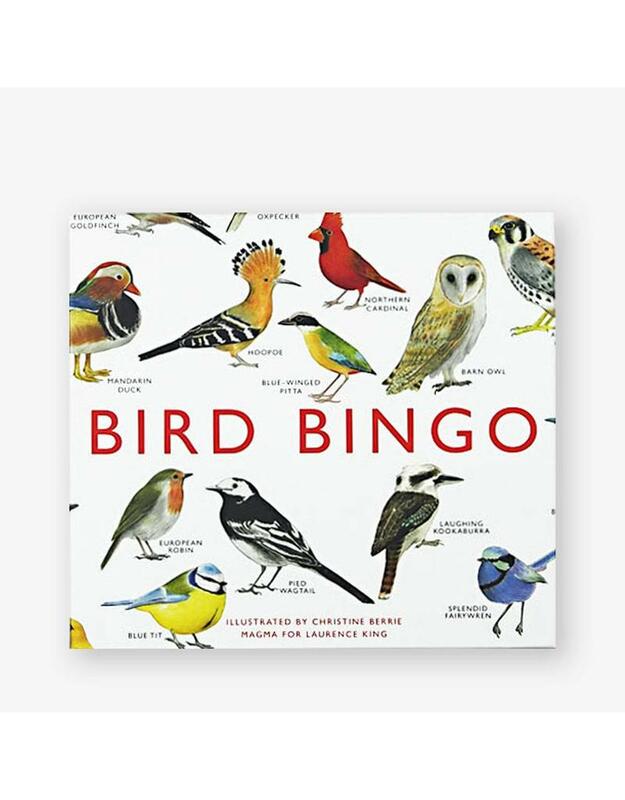 Spot all kinds of birds – from the robin to the puffin and the kookaburra to the splendid fairywren – mark them off on your card and bingo! 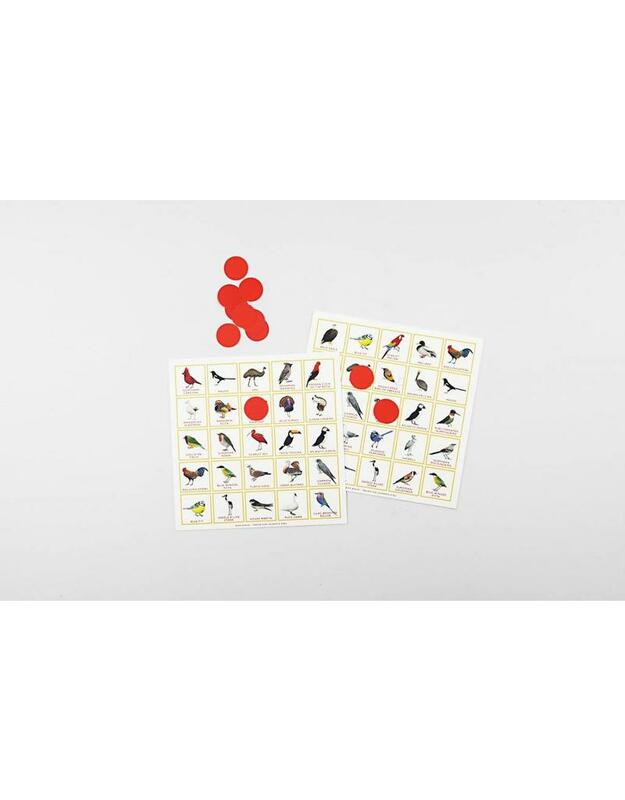 Bird Bingo brings a fun and educational twist to the traditional game as players learn the names and colourings of both their favourite species and weird and wonderful exotic birds. 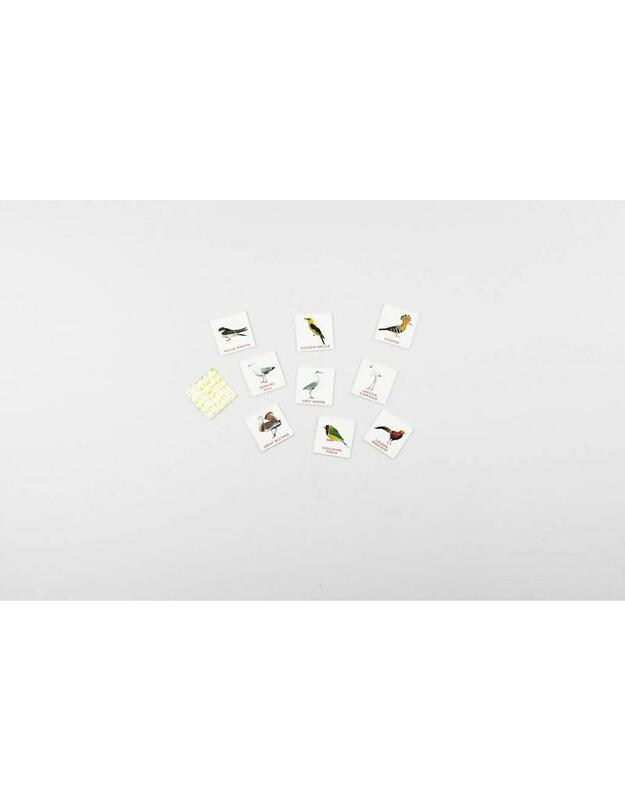 Contains 64 superbly illustrated bird tokens, one board, 12 bingo cards and brightly coloured counters for you to mark up your card, as well as a leaflet containing basic information and a few quirky traits for all of the birds featured.